Switching between windows using the keyboard in Mac OS is a two step process Command + Tab to switch between apps and Command + Tilde (~) to switch between windows in one application. 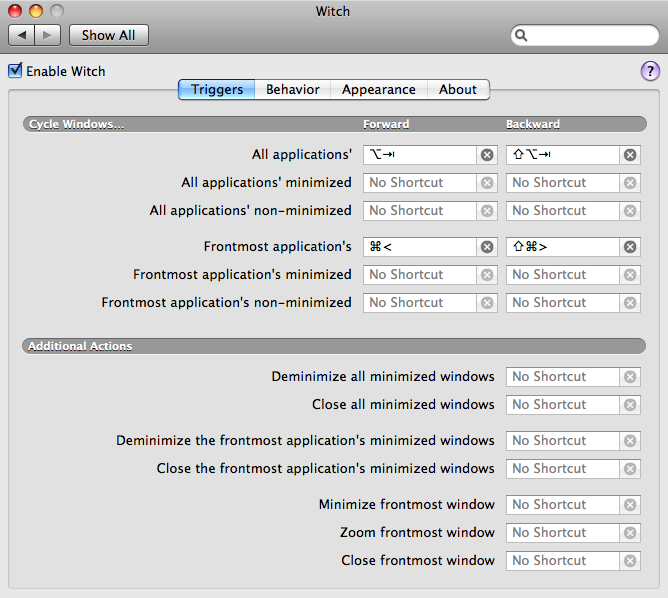 Witch lets you access all of your windows by pressing a shortcut and choosing from a clearly arranged list of window titles. Here’s what all you can do with Witch. Zoom, minimize/de-minimize and close windows on the fly. 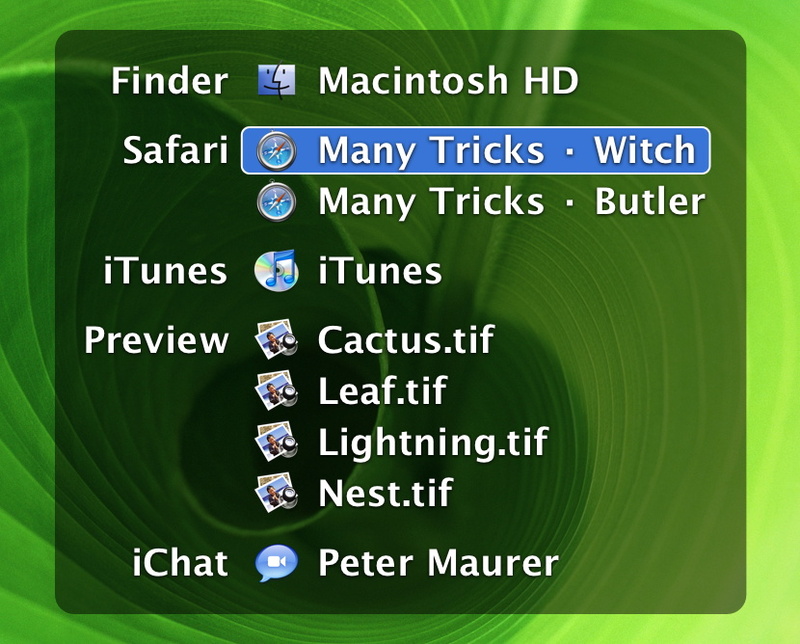 Witch 2.0.2 runs natively on both Intel- and PowerPC-based Macs and requires Mac OS X 10.3.9 or later.